If you mix the best of Greece and Italy together, you get Corfu, the jewel of the Ionian Islands with a splendidly historic city center, lush green interiors and superb blue beaches. Corfu – or Kerkyra as it is commonly known in Greek – captivates all your senses, thanks to its very rich culture, identity and mixed history. The old town’s Venetian influence is evident in its architecture and main squares, but also through intangible heritage such as music, culture, religious ceremonies and culinary flair. The old town is a UNESCO World Heritage Site, and comes complete with an amazing fortress on its edge, looking out to the Ionian. Walk through the ‘Liston’ arcade to admire the old architecture and check out the town’s shops, then sit down for one of the sophisticated cafés for a break. 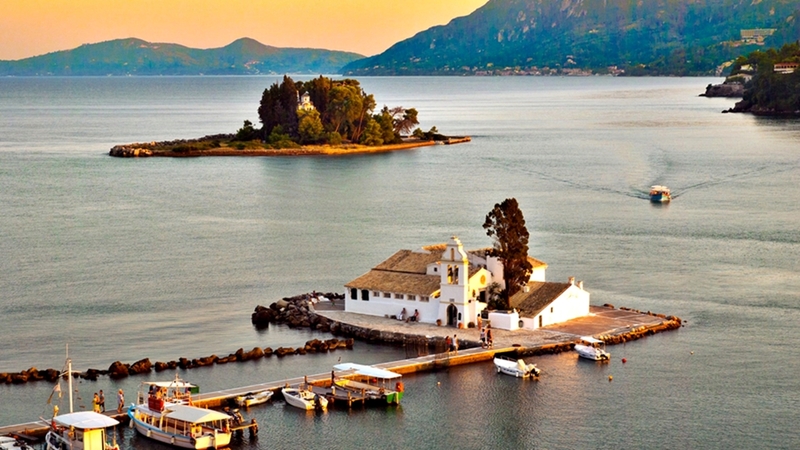 Attractions in the Corfu’s main town include a visit to Vlacherna Monastery and Pontikonisi (Mouse Island), Museum of Ancient Art, Casa Perlante, British Cemetery, Corfu Aquarium, Corfu Shell Museum, Mon Repo Palace, St. Spyridon Church and a number of specialty boutiques. In terms of activities, you’ll be delighted to know that there are some great wine tours, horseback riding opportunities, cooking lessons, boat rentals, scuba diving excursions and windsurfing. Beautiful beaches abound, so do all the water sports that are related to these. Some beaches of course are quieter than others, and come in all forms from sand and pebbly to shallow or windy (ideal for kite surfing and windsurfing). If you like walking vacations, you’ll love the 220km-long Corfu Trail that crosses the island and will take you across some amazing landscapes and biodiversity. 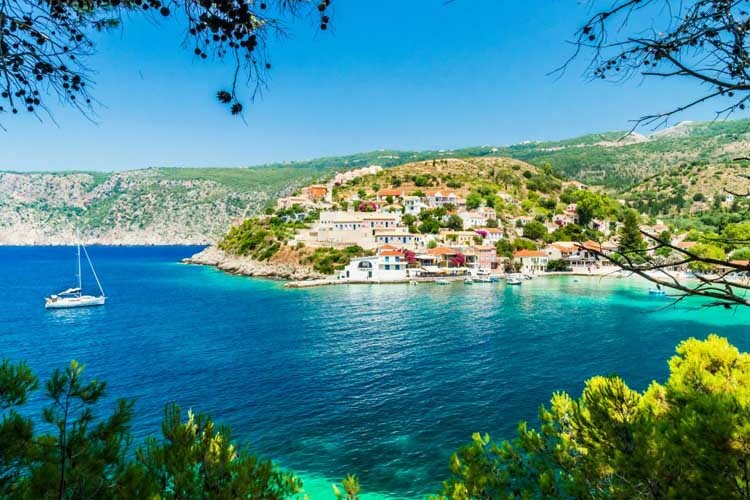 It is worth mentioning that Corfu has many great hotels, including budget hotels, country hotels and luxury hotels, which can easily be booked through our site. On another note, a short drive away is Austrian Princess Sisi’s palace, known in Greek as Achilleon, with its multiple opulent rooms and stunning gardens. The evening awakens the island’s nightlife where there are many wine bars, clubs and fine-dining restaurants. Do try the local Corfiot beer which is very good. This island truly has it all. If you have already made your decision for your vacations you need to check out the hotels and book the room you like the most. 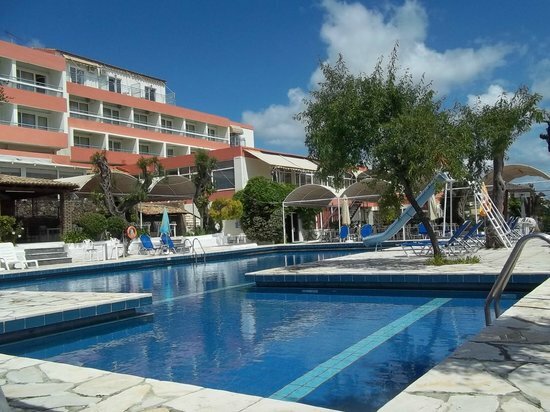 There is a majority of accommodation choices in Corfu that there is no way not to find something which is totally suitable with your expectations. The online booking services is the right way to organize your vacations without moving from your home. The next thing you are going to need for your journey is the airtickets. 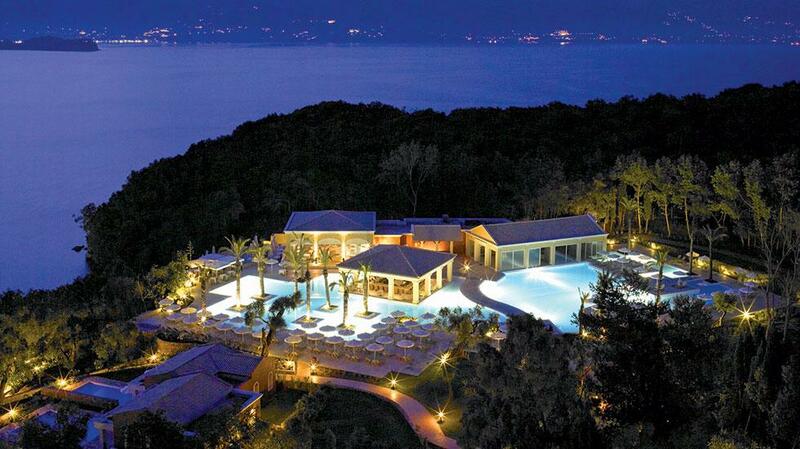 There is a majority of thing to see and things to do at the Corfu island. Book your activities now in order to save time for you.